On the darkest days, sometimes all it takes is a single ray of light to turn everything around. For the last 20 years, Louise Colbaugh, 90, has shined in the Oklahoma City metro, volunteering at metro hospitals. 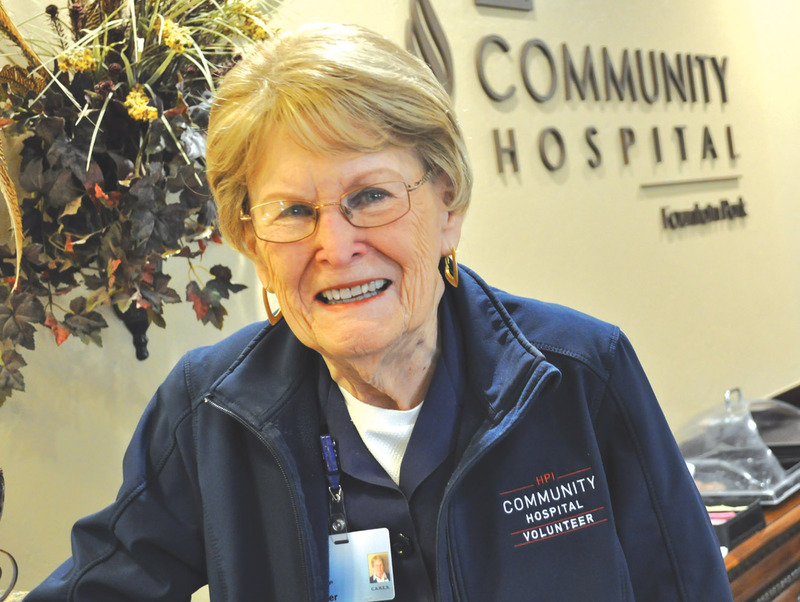 Colbaugh is closing in on three years volunteering at Community Hospital in south Oklahoma City but before that she gave 17 years at Hillcrest and eventually St. Anthony. Colbaugh stayed home until almost 45, rearing a son and a daughter before heading out into the workforce. Her son moved on to the paper products industry in Houston. Her daughter is close by in Moore and retired herself. Her great granddaughter has already graduated college and is going on to pursue her degree as a physician’s assistant. Attending graduation for her great granddaughter was a moment she’ll never forget. “Wonderful and proud,” beamed Colbaugh, who also has two younger great grandchildren. After raising kids and before volunteering she went back to school and studied accounting. She worked in the accounting department at Shepler’s western store. As her husband’s health faltered, she decided she needed better insurance. She worked at Tinker Air Force Base as a civilian in the accounting department, eventually in the AWACs division. Numbers were numbers, but only a lot more zeroes were at the end of those military budgets. Colbaugh and her husband celebrated 51 years of marriage before he passed. For most who spend time with a loved one during an extended illness, the hospital would be the last place they would want to spend more time. Too many hours of fear and pain. It’s an opportunity for Colbaugh to pour into others. She has stories to share. She’s felt the same feelings. Colbaugh’s journey to Community Hospital began when St. Anthony closed its gift shop. A few of her fellow volunteers made the trip as well. Community Hospital has two campuses featuring a comprehensive range of medical services offering nursing care in a close-knit, compassionate community. She immediately used the gift certificate she received to splurge on a cashmere sweater. Colbaugh typically volunteers every Monday and Tuesday, coming in at 8 a.m. and working until 2 p.m.
She grabs the cart filled with complimentary items and goes room to room checking on patients and their families asking if they need anything. From there she goes to the surgery waiting room. As you might expect, Colbaugh is a big fan of volunteering her time. She’s quick to share her experience when others ask.